The winner of our Manchester Met Freshers’ Favourite vote, and what a winner: easy, light, cheap – they’re a student classic. Our fajitas don’t have too many carbs, have a good source of protein in the chicken, and contain nice, fresh vegetables. If you’re veggie, just swap the chicken for vegetarian chicken pieces, or even try kidney beans as a great protein replacement. Perfect to make when you get home from uni. MetMUnch student Emily shows you how to make the perfect fajitas in this recipe vid, so grab your ingredients, follow her instructions and tuck in! Half the peppers and chop into strips. Chicken is a high risk food so always use a fresh board or clean your chopping board before use to avoid contamination. Chop chicken into thin strips. After handling chicken wash hands thoroughly. Put oil in pan and heat for 30 seconds to 1 minute. Put chicken in pan and cook until it’s white all the way through (always ensure chicken is cooked thoroughly). When chicken is white add peppers to pan. Stir lightly and leave peppers to cook for a couple of minutes until crunchy. Add seasoning from pack (only use as much as you need and save the rest for the next time you cook fajitas). Stir in seasoning over chicken and peppers. Take fajita wraps from kit and add salad. Take 1 spoon of Greek yoghurt and spread across wrap (Greek yoghurt is lower in fat and salt and does the same job as sour cream). Place chicken and peppers in centre of wrap and cover with tomatoes. 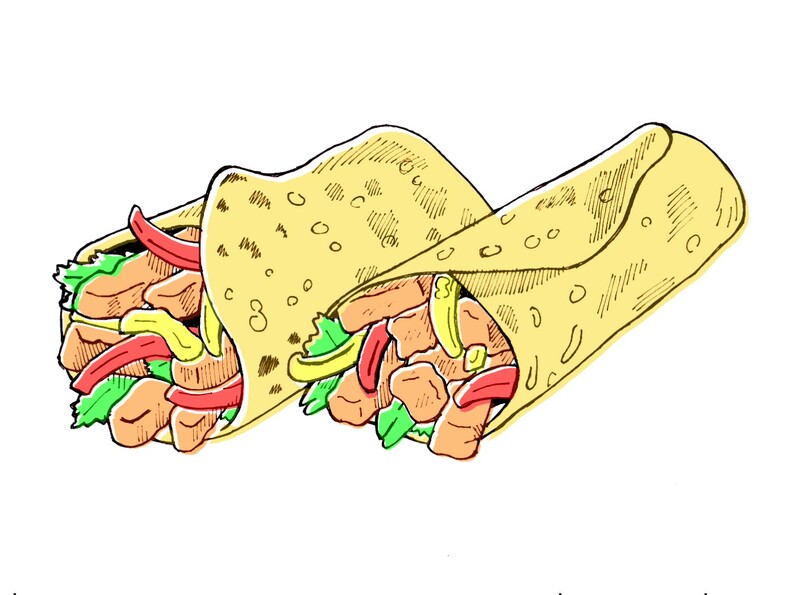 Wrap the fajita around the filling.